This short review is about a very suspicious project called “Frank Lowe’s Binary Secret Revealed“. This project is promoted by spam and it promises an e-book that allegedly can turn you into a professional trader. The web presentation of Binary Secret Revealed is very short but full of lies. First of all this program allegedly appeared in Financial Times, CNN Money, CNBC, The New York Times, Handelsblatt and Forex Magnates. But it is a lie, these media never published anything about it, you can check it on their web sites, we did it too. The same applies to the quote attributed to the editor of Money Magazine, he has never mentioned Frank Lowe’s Binary Secret Revealed. Despite all these lies we wanted to see what is it about, but we had to stop immediately. Why? Because they force you to download an executable file (.exe) and install it. Doing that from an unknown source is very dangerous, as it can contain malware such as a virus. So don’t it if you want to stay safe. 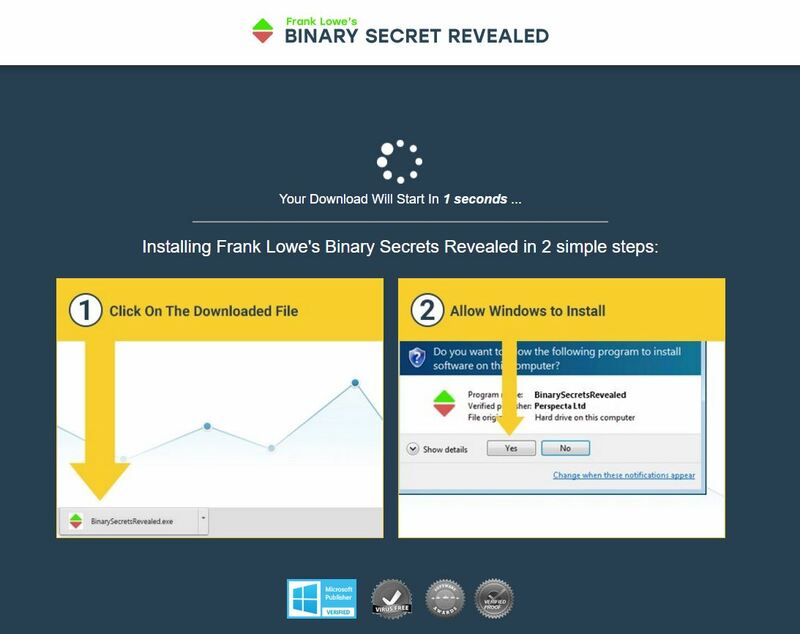 Frank Lowe’s Binary Secret Revealed is full of lies and it wants you to install a very suspicious file on your computer, don’t do it! 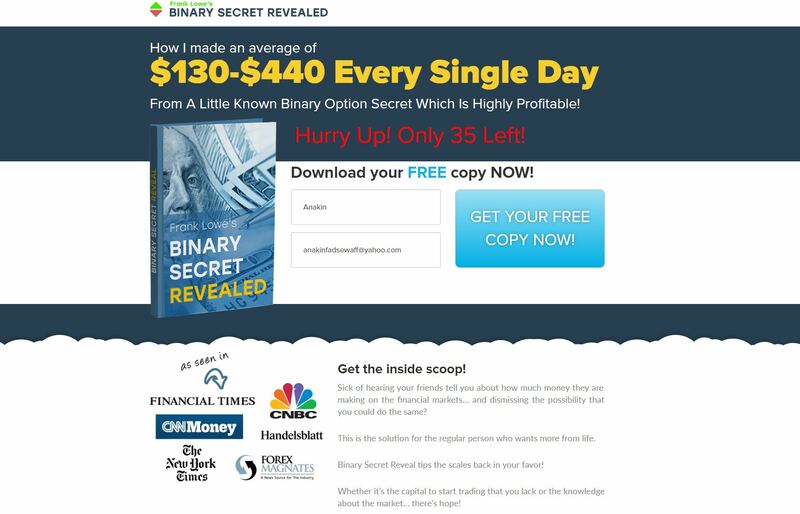 If you want to see real binary options in action, try a free demo. And don’t look for fake gurus, they can’t teach you anything about binary options trading.